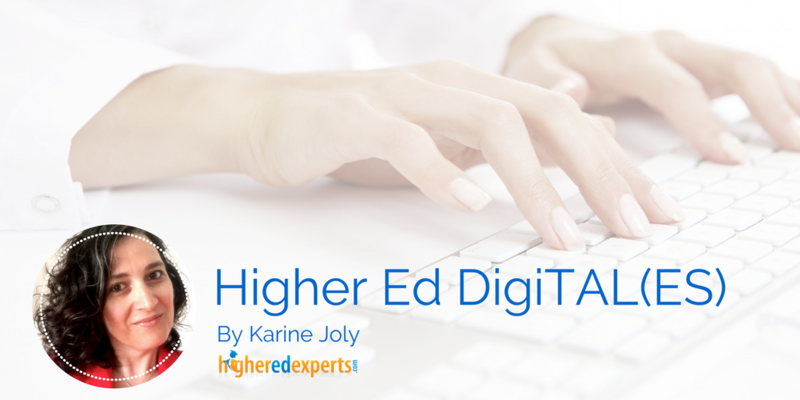 Higher Ed DigiTAL(ES) is a new series on career advice for digital marketers and communicators working in higher education. Expect tips, tricks, tools and tales collected through a decade helping your higher ed colleagues learn and grow in their digital career. 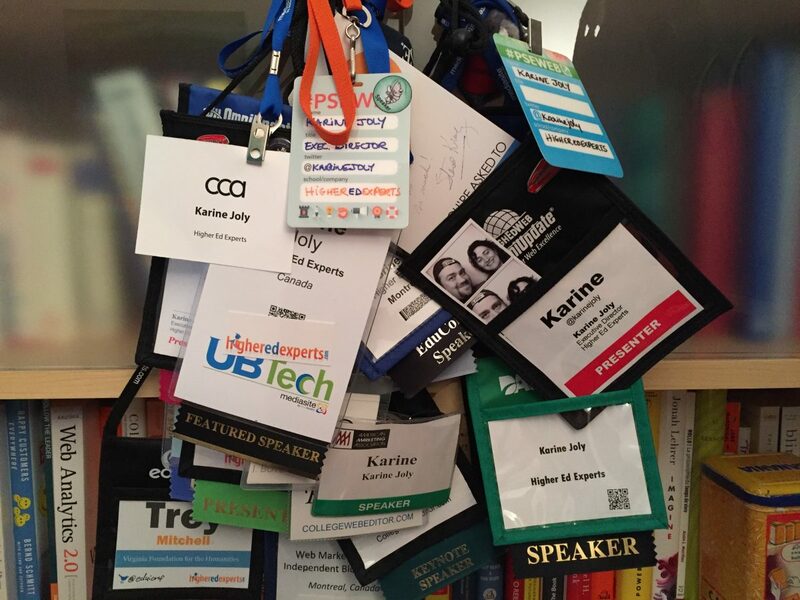 I’ve attended, presented at, chaired and organized many higher ed digital marketing conferences over the 15 years I’ve worked in the industry. Since there aren’t many events targeting higher ed marketers and communicators, I got a chance to attend several times the top events listed in the directory of higher education marketing conferences I’ve been maintaining for the past few years. I love conferences. They are a great way to get the pulse of what your higher ed colleagues are doing, catch up with friends and meet new people. 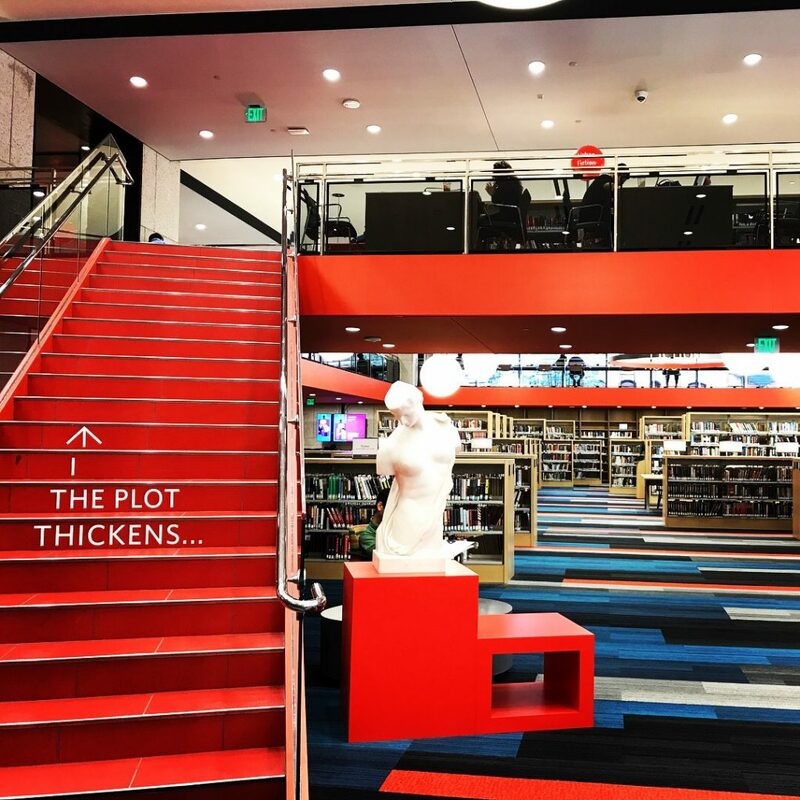 Conferences are full of creative energy, myriads of engaging conversations and dozens of new connections. Yet, if you’re not strategic about the way you approach your conference experience, they can also make you feel like our social media feeds often do: overwhelmed with a perpetual case of FOMO. With so many options in different tracks, it’s easy to make split decisions after 5 minutes in the room and do session surfing to try to find THE “perfect” session. The only problem with this approach is it’s a sure way to kill your focus. Unfortunately when you attend a conference with several tracks like HighEdWeb or the AMA Symposium for the Marketing of Higher Education, The paradox of choice can easily kick in. Too many choices making it almost impossible to choose anything on the spot. Before you leave and pack for the conference, take at least an hour to come up with your own strategic conference plan. It sounds like an overkill, but it’s a great way to embrace strategic thinking in your daily life (!). So, set aside an hour – ask Siri or your favorite AI! – when you are sure you won’t be interrupted. What are your learning and networking objectives for the conference? Do you want to learn about new trends? Are you going to tackle a big project (redesign, content strategy, social media giving challenge, etc.) and want to find out how your peers dealt with the challenge? Do you want to optimize your performance measurement process? Ask yourself – and your team even if they aren’t tagging along – to think about learning objectives and expectations. When you have the long list of all your hopes and wishes, try to narrow it down to 3 top objectives, followed by all the other “nice-to-learn” points. With your shortlist in hand, you can now go to the conference program page and start looking at the session titles and descriptions. You are on a quest to find the sessions that will get you closer to your learning objectives. Add the matching sessions to your conference schedule or make a note of the title, date, time and room on a document you’ll take with you. Be careful to not overpack your conference schedule though. With 10 or more sessions per day, it’s easy to go into cognitive overload. Moreover, the multiplication of social interactions during the conference can contribute to this overload if you don’t manage properly your energy levels. This is will widely depend on where you stand on the extrovert/introvert continuum. If you are an extrovert, you will thrive spending time with hundreds of people over several days. So, enjoy yourself! However, if you are an introvert, a 3-day conference can be totally exhausting. So, don’t forget to take some breaks from the crowds to replenish your personal batteries – even if this means skipping a session during the day or leaving a social event early. If you don’t, you might get into “conference burnout” by the end of the 1st day. No matter where and when your next conference takes place (Florida, Connecticut, Chicago, California, etc. ), you will freeze in the session rooms. There’s probably a special thermodynamic law for conference spaces stating the AC will always be too strong when it’s least needed. As mere mortals attending conferences, there’s nothing we can do to counter this law of the Universe. So, bring a sweater or a jacket if you want to focus more on what’s said in the sessions you attend than your body temperature. Conference gear: digital or analog? Since you’re also going to chase, collect and capture some knowledge, you need a good plan to take notes. Whether you go all digital or stay analog is really a question of what works best for you. For focus and maximum retention, the good old pen and notebook will provide better results according to research studies. There’s also an added bonus with going analog: it’s lighter, handier (!) and doesn’t require an extra battery or a charging station. Speaking of plugs, don’t forget though to plan for the energy level of your device(s) when you pack and during the conference if you want to check email or share stuff on social media. Today, you can learn a lot on the Web, social media or closed online communities like Slack channels or email lists. Conferences are the only place where you get to meet and hang out with peers, old colleagues, future mentors and even prospective bosses. If you are on the market for your next career move, don’t forget to network, talk and meet people. Conferences are like the Web, you can choose to stay with the familiar or go explore the possibilities. But, since you’re already familiar with the familiar, why not take the opportunity to explore the unknown? If you’re going with colleagues or you know a lot of people, try to get out of your comfort bubble and reserve time for new acquaintances. Here’s a conference habit I’ve developed over the years to help me balance the familiar and the new: while I’m always excited to catch up with friends and colleagues in the hallways or at dinner, I try to sit with different groups during every meal served at the conference. Between breakfasts and lunches, it’s a great way to meet several new people while still hanging out with old friends between sessions and at the social events. 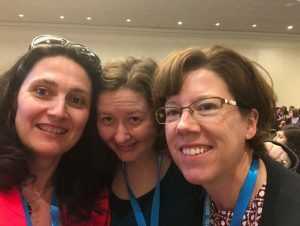 If you’ve been on the conference circuit for as long as (or longer than) me, you can also try to introduce the new folks you meet to other folks you know if they share something in common. Now, if it’s your first time attending a conference and you don’t know anybody in the industry, come say hi if you spot me in the hallways or during meals, I’ll be happy to break the ice for you. I’m the lady with the long black hair and the flowery accent – you can’t miss me.